Published: Dec. 10, 2017 at 06:35 p.m. Published: Nov. 20, 2017 at 09:43 p.m. 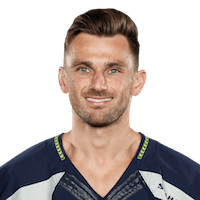 The Seahawks threw the Falcons for a loop with a pooch kick that Atlanta bobbled, allowing Tedric Thompson to grab the live ball for a Seattle recovery. Published: Aug. 19, 2017 at 12:01 a.m.
Seattle Seahawks running back Chris Carson forces Vikings' fumble on the second-half kickoff during Preseason Week 2. Published: Nov. 18, 2013 at 10:37 a.m.
Seattle Seahawks wide receiver Percy Harvin takes the kick off and shows off his speed returning it 58 yards into Minnesota Vikings territory.